Luxury fabric specialist, Kobe, mixes timeless designs with an array of textiles to bring together its finest upholstery creations into one collection – Wellington. Wellington’s upholstery collection for domestic and contract use is the perfect complement to City Chic, which brings together a rich array of interior fabrics, reflecting the lavish glitz and glamour reminiscent of Hollywood’s Golden Age. The 27-design collection includes opulent woven jacquards in velvet and chenille, cool linen, wool and faux leather. Its extensive colour palette ranges from evergreen tones of grey and taupe to vibrant statement shades of Indigo, fuchsia and purple. For those who want the very latest in style and trends, highlights from the collection include Erasmus, a woven dobby comprising 58% cotton, 22% viscose, 10% PA and 10% linen and is available in a range of six colours. It has a natural linen appearance and feel and incorporates a broad herringbone strip in matt and metallic yarns. Cobra is a woven jacquard comprising 55% acryl, 25% polyester and 20% viscose and features an intricate allover pattern on a subtle metallic look background. It is available in a range of five colours. Focus is a woven jacquard comprising 35% polyester, 30% viscose-chenille, 20% cotton and 15% viscose available in a range of 15 colours. The luxurious chenille setting is complemented by sophisticated stripes giving it a timeless elegance. Norberto is a sumptuous jacquard woven velvet comprising of 54% acryl, 30% polyester, 15% viscose and 1% cotton and comes in a range of eight colours. The soft velvet background is covered in contemporary multi-coloured polka-dots. Cobra, Erasmus, Focus and Norberto can all be supplied with a domestic and contract upholstery back coating. 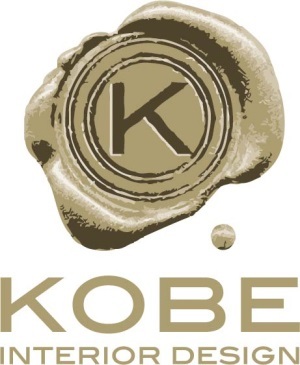 All Kobe’s upholstery fabrics offer exceptional durability, scoring highly on the Martindale Rub Test.